The world is more complex, interconnected, and uncertain than ever before. The future of our planet, the health of our society, and the welfare of its seven billion inhabitants will require creative solutions that balance resources, environment, health, and economy. Sustainable paths forward will require collective, non-partisan action coupled with the ability to see the world and all its components as fully interdependent. 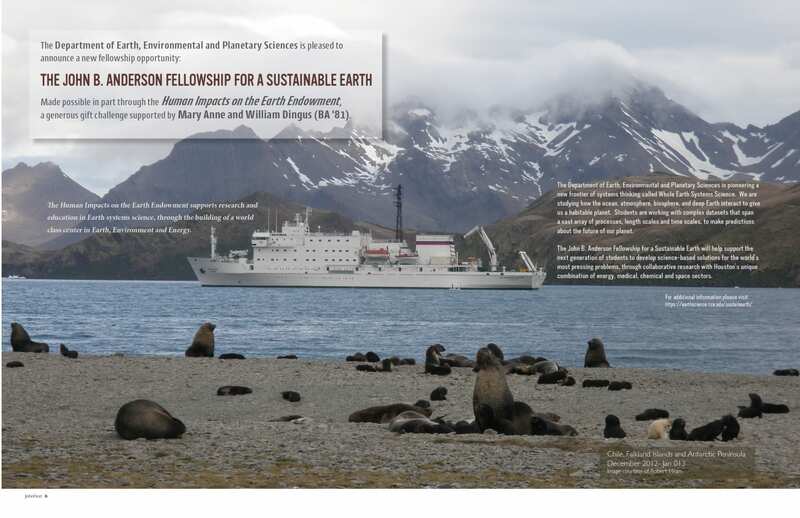 The Department of Earth, Environmental and Planetary Sciences at Rice University is pioneering a new frontier of systems thinking called Whole Earth Systems Science. We are studying how the ocean, atmosphere, biosphere, and deep Earth each interact to give us a habitable planet. We are working with complex datasets that span a vast array of processes, length scales and time scales to make predictions about the future of our planet. To identify and develop science-based solutions to the world’s most pressing problems through the convergence of Whole Earth Systems science expertise at Rice University and Houston’s unique combination of energy, medical, chemical and space sectors. Great ideas come from interactive environments where people come together to work on problems of mutual interest. Many of the best ideas cannot come solely from academia in isolation; the world is now too complex. We believe in opening a dialog between leaders in industry, business, government, and academia. As a major step towards building bridges with the community, for the last four years, we have been holding an annual industry-academia workshop called the Industry Rice Earth Science (IRESS) Symposia. The city of Houston is the ideal place to develop new ways of tackling energy and environmental problems. As one of the fastest growing and most culturally and politically diverse metroplex in the country, many studies predict that Houston’s demographics might be the future face of the United States. How the Gulf Coast will move forward in the face of environmental change may ultimately be the template for sustainable growth for the world. Build a natural resource (minerals, hydrocarbons, water, biodiversity) strategy for sustainable exploration, extraction, application and end-of-life processes. Share the science and technologies of fluid flow from volcanoes, groundwater systems, hydrocarbon migration, ocean circulation to blood flow. Build a team of planetary scientists with the intent to grow Rice University’s legacy in planetary and space exploration. 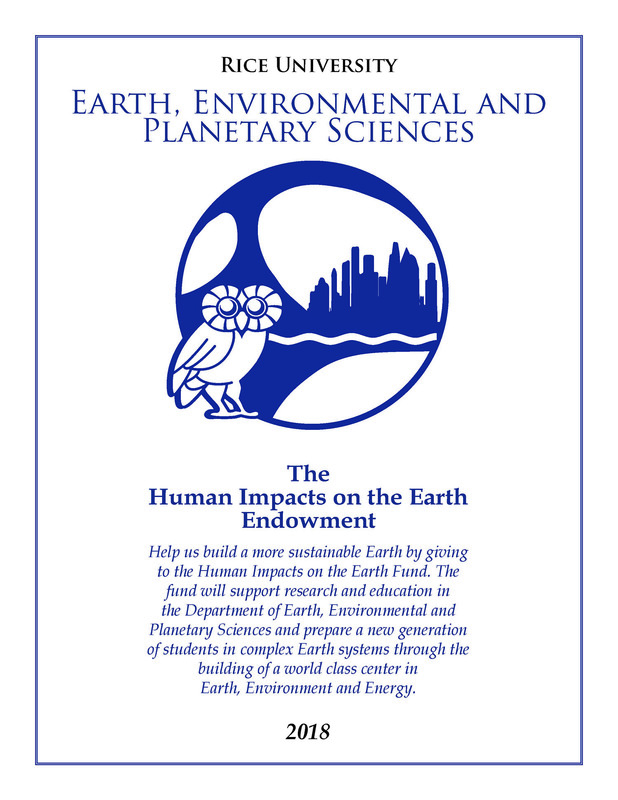 The fellowship will be partially funded through the Human Impacts on the Earth Endowment- a generous gift challenge, supported by Mary Anne and William Dingus (BA ‘81). Help us build this center! Over the next five years, we will be building the center, with the ultimate goal of building an Institute of Earth, Environment and Energy. We will work with Houston’s energy, medical, chemical and space sectors to train the next generation of undergraduate and graduate students in complex systems thinking through Whole Earth Systems Science. We will pursue four environmental grand challenges facing Houston and the Gulf Coast. However, we cannot do this alone. We will need your help. Come join us on this exciting journey of learning about our planet and how to make it more habitable. Initial momentum is building for our institute. 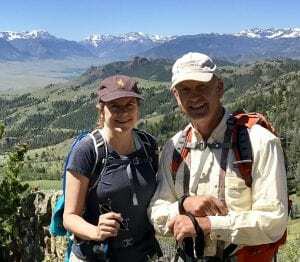 To kickstart development, Mary Anne and William Dingus (BA ’81) formalized a challenge gift to the department this year to help establish an endowment called Human Impacts on the Earth. Their gift will match any donation or pledge of $2,500 to the fund. If we make this challenge we will have a $500,000 endowment to support research and education activities focused on understanding how to maintain a habitable planet. We are grateful for this generous gift and we hope you might consider contributing to this endowment or getting involved with the department by providing advice, helping our students, and more. 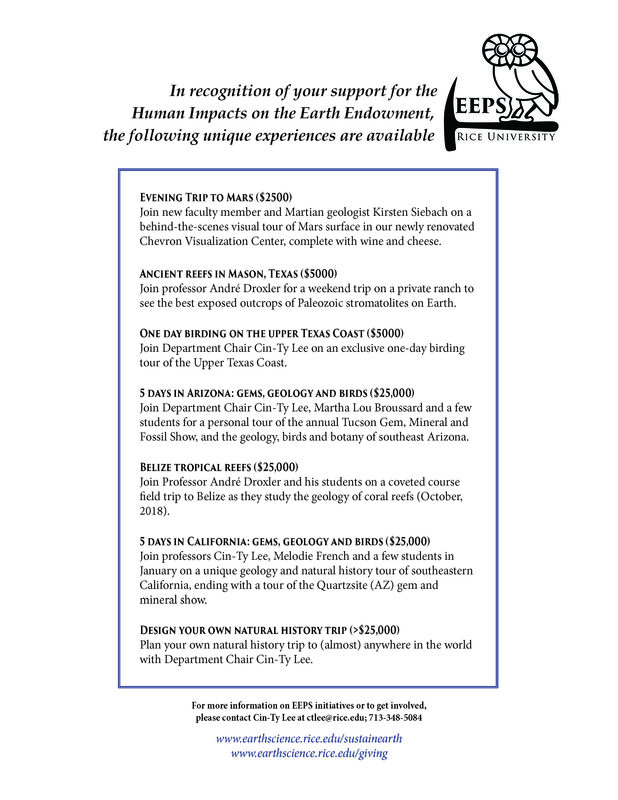 If interested in giving or helping, please contact Department of EEPS Chair Cin-Ty Lee (ctlee@rice.edu) or Natural Science Development Officer Jerry Haus (jerry.haus@rice.edu). More information on Giving can also be found here.